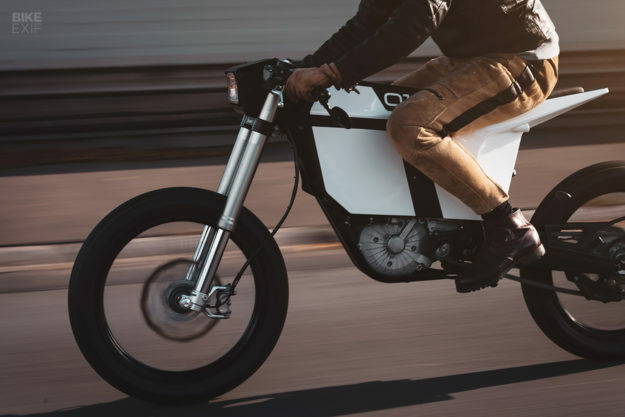 Electric motorcycles are gathering momentum, whether we like it or not. 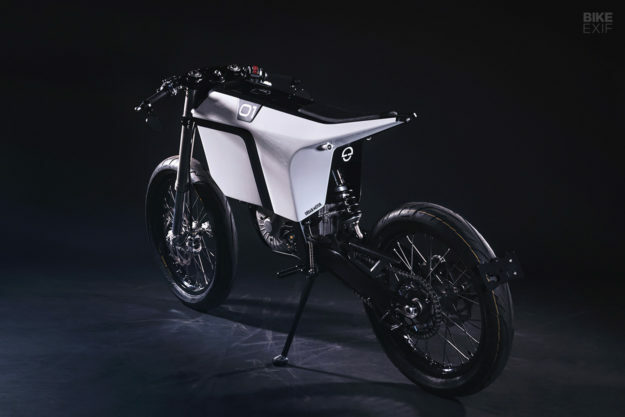 And customizers are slowly starting to discover the potential of e-bikes—which makes our job here way more interesting. 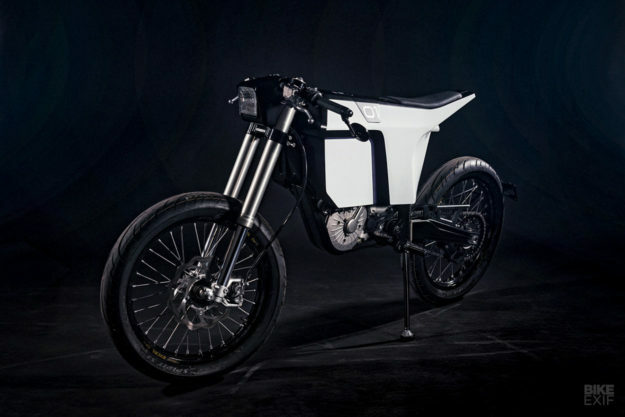 But there’s one shop we’d never have pegged as early adopters: Urban Motor of Berlin. Peter Dannenberg and his crew have made a name for themselves building classy petrol-driven machines, using old school techniques. So this battery-operated whippet based on the KTM Freeride E is a literal volte-face. So why the radical new approach? 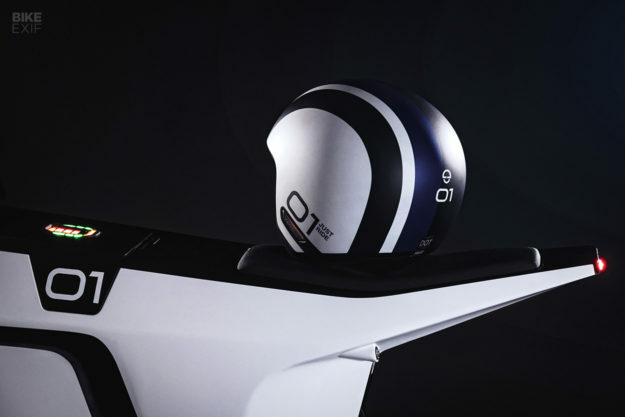 The project was commissioned by leading helmet manufacturer, Schuberth, to complement their new O1 helmet. It’s an open face helmet, but it’s packed with modern tech and design—and the bike had to communicate that ethos. Urban Motor went on the hunt for a suitable donor, and came back with a 2016 KTM Freeride E-SM. With 42 Nm on tap and a curb weight of just 108 kg, it’s a cracking city runabout. It’s also street legal in Germany—and Peter knew it’d be easy to keep street legal too. Their first step was to strip off the KTM’s bodywork, wheels and subframe. 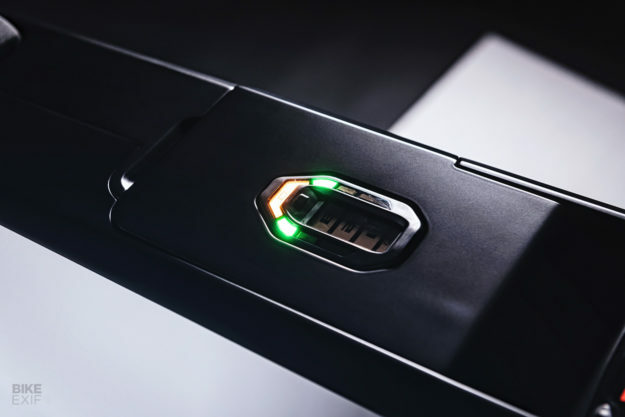 They then leaned on the experience of industrial designer Leon Laskowski—who started by 3D scanning the stripped bike. New bodywork was designed digitally, before being 3D printed. The team used Windform LX 3.0—a composite polyamide-based material, reinforced with glass fibers. There are just four main pieces: one on each side, a top panel, and the headlight shroud. The design’s a clear departure from the KTM’s stock plastics, but it’s not a classic vibe either. The idea, according to Peter, was to take cues from the blocky battery, rather than try to disguise it. Thanks to meticulous planning (and that handy 3D scan), everything attaches to the frame’s original mounting points. Urban Motor simply rebuilt the KTM’s subframe, to match it up to the new tail section. 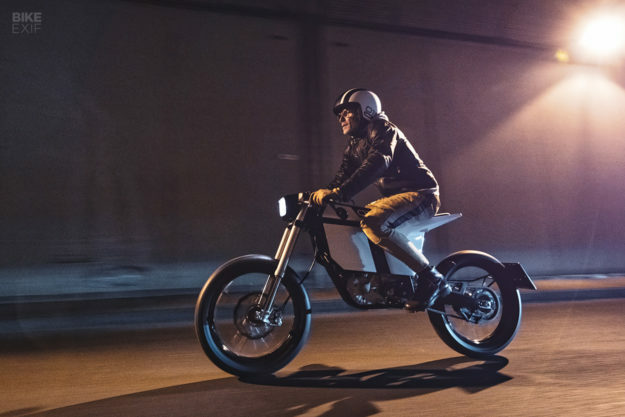 The Freeride E-SM comes specced as a supermotard, with 17” hoops at both ends. But Urban Motor wanted a lankier aesthetic, so they laced up a pair of 19” Excel rims, wrapping them in Avon Sprint ST tires at both ends. They also tweaked the stance further, by lowering the front forks by 70 mm. Other upgrades include LSL clip-ons and foot pegs, Oberon mirrors, and Kellerman and Highsider turn signals and lighting. Urban Motor also fabbed up a neat license plate mount to sit behind the rear tire. 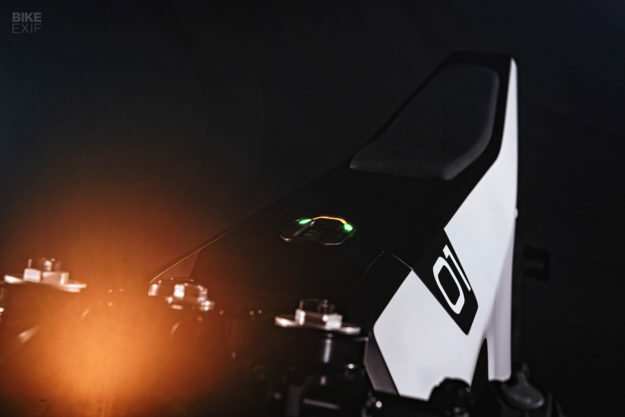 A simple black and white livery emphasizes just how minimal and utilitarian this Freeride E now is. 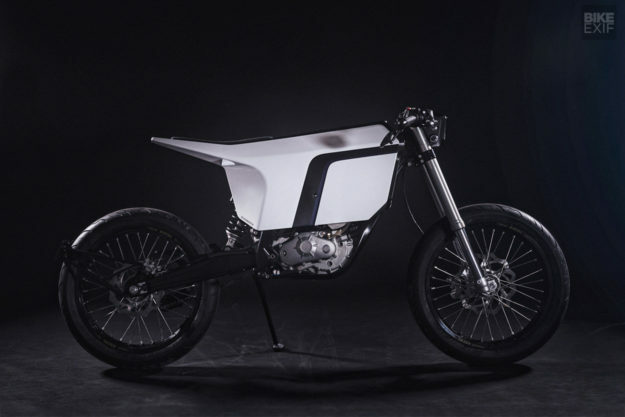 Urban Motor leaned on Sonja Wiese for the design, and Sven van den Brandt for the execution. 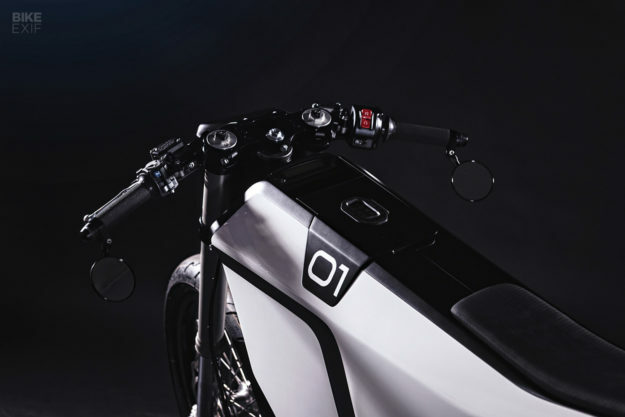 Called ‘Enjoy the Silence,’ this electric KTM is a fantastic glimpse into one possible future. Could that future be bright, after all?